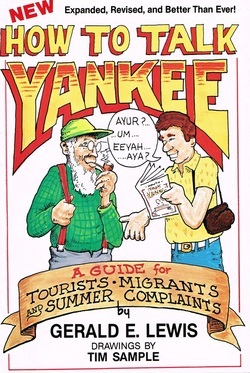 Even if you've mastered "ayuh" and can use "wicked" properly and effortlessly, you won't want to miss this expanded edition of How to Talk Yankee. With dozens of new entries and additional illustrations by Maine humorist Tim Sample, this is the most complete guide anywhere...ever...to telling it like it is in New England. The special words and phrases of rural New England speech are funny and frequently outrageous. Through words and pictures this guide is also a genuine reflection of the colorful lifestyle of the region. The outdoor flavor and directness of the Yankee tradition come to life on every page. No household should be without at least one copy. Learn how bahmy, daow, dite, gawmy, gorry, and slimpsy can enhance your vocabulary.